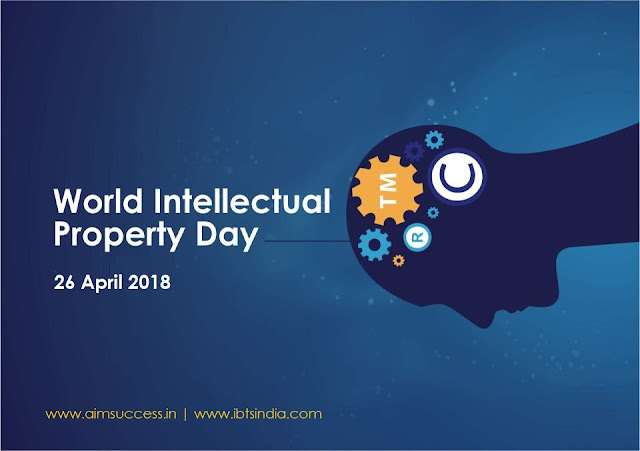 The 'World Intellectual Property Day' is observed annually on 26th April to learn about the role that intellectual property rights (patents, trademarks, industrial designs, copyright) play in encouraging innovation and creativity. The Day is organized by World Intellectual Property Organization (WIPO). This year's theme of the day is: ‘Powering Change: Women in Innovation and Creativity’. The World Intellectual Property Organization (WIPO) is a self-funding agency of the United Nations(UN) with 191 members states. 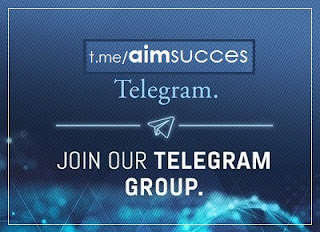 Its mission is to lead the development of a balanced and effective international intellectual property (IP) system that enables innovation and creativity for the benefit of all. The Union Minister (Housing & Urban Affairs) Shri Hardeep S Puri has inaugurated the 48th Foundation Day celebrations of HUDCO (Housing and Urban Development Corporation). Mr. Puri highlighted the importance of the need to encourage initiative, imagination, and institution building to develop a new India. HUDCO is wholly owned by the Union Government and is under the administrative control of the Ministry of Housing and Urban Poverty Alleviation. It is mandated with building affordable housing and carrying out urban development. The Union Govt. has entered into a legal agreement with the World Bank for a flexible financing arrangement to accelerate research towards early development for biopharmaceuticals. The mission has been approved at a cost of 250 million dollars for five years with 50% funding through the World Bank Loan. The aim is to make India a hub for design and development of novel, affordable and effective biopharmaceutical products. Note: A biopharmaceutical is any pharmaceutical drug product manufactured in, extracted from, or semi-synthesized from biological sources. Today, the Atal New India Challenge (collaboration with five ministries) has been launched under the Atal Innovation Mission(AIM) at a function in New Delhi. Under the challenge, applicants showing capability, intent and potential to productize technologies to be awarded grants up to one crore rupees. AIM will invite prospective innovators, MSMEs and start-ups to design market-ready products, using cutting-edge technologies or prototypes. The focus areas include climate-smart agriculture, smart mobility, predictive maintenance of rolling stock, and waste management. This grant will be further supplemented by mentoring, handholding, incubating and other support as needed at various stages of commercialization. The State Textile Ministers meeting chaired by Union Textiles Minister Smriti Irani being held in New Delhi. The meet has discussed ways to promote handloom and handicrafts in the country. It is deliberating on the collaboration between the Centre and the states over the issue. The Ministry of Human Resource Development (HRD) has launched the second edition of the Unnat Bharat Abhiyan in New Delhi. Under Mission, students from colleges and universities will go to nearby villages to get acquainted with the life of the village people and the problems faced by them in the day to day life. The scheme has been extended to 750 reputed Higher Educational Institutes (both public and private) of the country. IIT Delhi has been designated to function as the National Coordinating Institute for this programme and the Ministry intends to extend the coverage to all the reputed Higher Educational Institutes, in a phased manner. The knowledge base and resources of the Premier Institutions of the country are to be leveraged to bring in transformational change in the rural developmental process. Scientists have developed a new technique to 3D print food that can allow users to cook according to their preferences. Their new platform and optimized methods can turn carbohydrate and protein powers into food with microstructures that can be tuned to control food texture and how the food is absorbed by the body. 3D printing of food works much like 3D printing of other materials in which layers of raw material are deposited to build up a final product. Bangladesh will become a member of the exclusive club of satellite-owning countries as its first commercial satellite "Bangabandhu-1" will likely be flying to space on 7th May this year. The satellite will be launched from Florida's Cape Canaveral (US). The Bangabandhu Satellite-1 (BS-1), will be the first Bangladeshi geostationary communications satellite operated by Bangladesh Communication Satellite Company Limited (BCSCL). The project is being implemented by Bangladesh Telecommunication Regulatory Commission (BTRC). The Indian and Malaysian armies will hold a two-week military exercise beginning 30 April in Malaysia as part of efforts to bolster defence cooperation. The exercise will involve a cross-training phase followed by a field training phase in the jungles of Hulu Langat wherein both armies will jointly train, plan and execute a series of training activities. The veteran TV actor ‘Amita Udgata’ passed away due to lung failure. Amita Udgata became a household name after playing the role of ‘Amma’ in Star Plus’ popular social drama Mann Ki Awaaz Pratigya. Amita was also seen in films like Sarbjit and Hasee Toh Phasee. In the annual World Press Freedom Index 2018, India’s ranking in the Press Freedom Index has fallen two places to 138 (last year 136th) among 180 countries. The country was ranked 136th (in 2015), gained three places to 133rd (in 2016). Norway is first for the second year running, followed as it was last year by Sweden, while North Korea found itself at the bottom.